Dealing with debts is bad enough for anybody, let alone if you’re also dealing with addiction recovery, depression and anxiety. My debt problem spiralled out of control when I was earning money but, when the work dried up, I could no longer make the repayments and the daily telephone calls just added to my despair. It was so easy to borrow a few years ago. I regularly got offers to borrow more and more money. My credit card limit kept increasing without me asking and my bank kept offering me personal loans and up and up went my debt. So what does an alcoholic do when offered a loan for £25k one sunny afternoon? Take it and run, of course. We can pay of the debt tomorrow can’t we? Even though I feel that I am well under way to recovery from health issues I still keep finding excuses not to tackle my debt problem. Basically, following my extended stay in hospital and my move to a hostel; I’ve disappeared off the debt collector’s radar. Great for my recovery as it has given me a safe place to hide from the realities of life while I get my head back together but it’s not solving my debt problem and I know it won’t go away. I now feel mentally strong enough to start to deal with my debt issues. I’m still in a safe place and I have a good support network around me should I start to get in a panic about it again. I wrote letters to my creditors weeks ago now but still haven’t sent them. It’s a fear of all those phone calls and letters starting again that is holding me back so I’ve decided to try a debt management charity called Step Change. I’ve been recommended Step Change before and having now actually reviewed their site I have decided to contact them next week. My first step was to get an open letter from my keyworker at the local Community Mental Health Team which explains that I am unable to cope with financial issues at the moment owing to my fragile state of mind. I haven’t actually used this yet but knowing that I have it is a great re-assurance. If you are finding it difficult to handle the problem yourself as a result of mental health issues Money Saving Expert, with advice from MIND and Rethink, has produced a free and detailed advice booklet. Incidentally, Money Saving Expert is a great resource for all sorts of financial issues. It’s amazing how many times that I have found myself reading one of their articles when surfing the net trying to find answers to some of my problems. If you Google Debt Counselling, Debt Advice, Help with debts or similar you will get a long list of organisations offering ‘free’ and confidential advice. But be aware, many of these are profit making organisations and will, ultimately, charge you fees. Whilst they appear to offer free initial advice, in my experience, their advice does tend to steer you towards solutions which will earn them fees. I did employ the services of a debt management company at one stage, Gregory Pennington, at a time when I was really suffering from depression and anxiety. They were always helpful and polite but I was still receiving phone calls from creditors and my plan lapsed when I was re-admitted to hospital. They did charge a monthly fee and I found myself receiving more texts, phone calls and e-mails from them then I ever had from my creditors which defeated the object of going to them in the first place. Also, be aware of smaller, ‘independent’, advisors who I suspect earn a commission from unscrupulous insolvency practitioners (IP) for steering you down the highest fee bearing route. They make this practice legitimate by charging a fee to the IP for preparing initial creditor schedules. Here is a list of organisations that you can contact for help, also sourced from Money Saving Expert. Full debt and consumer advice service. Many bureaux have specialist caseworkers to deal with any type of debt, including repossessions and negotiation with creditors. Legal advice on a small range of issues, including debt where your home is at risk. The Housing Duty Scheme also gives free advice by phone or at around 100 courts across England and Wales if you are in danger of eviction or repossession. A full debt help service in available across the United Kingdom. Online support is also available via its Debt Remedy tool and vulnerable people (due to age, mental health or capacity) are able to get extra help support via the free advocacy service. A debt advice and education charity offering one to one advice. The Debt Support Trust is a not-for-profit debt advice charity covering England, Wales, Scotland or Northern Ireland via it's phone, email or online debt analyser tool. A full debt help service in England, Scotland and Wales. Online advice is also available via its My Money Steps tool. Small business owners and the self-employed in England, Scotland and Wales can get help with debts, whether business or personal, from the Business Debtline team. A confidential and independent scheme in Northern Ireland is Debt Action NI. This government funded service offers face to face advice in over 20 locations. 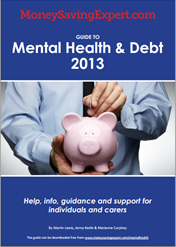 Free debt advice and solutions for those in financial difficulty.